About ICP - Bile acids – what’s all the fuss? As we have previously mentioned, ICP is associated with potential problems for your unborn baby. How this happens and whether bile acids are the definite cause of stillbirth has yet to be proven. However, researchers are working on this, until it can be shown otherwise we will continue to advocate the importance of the role of bile acids in diagnosing, treating and managing an ICP pregnancy. The most recent research suggests that at the very least bile acids are a possible sign (a marker) of risk, so here we write about what bile acids are and why are they are thought to be a problem for some babies. Bile acids are made (synthesised) from cholesterol in the liver. 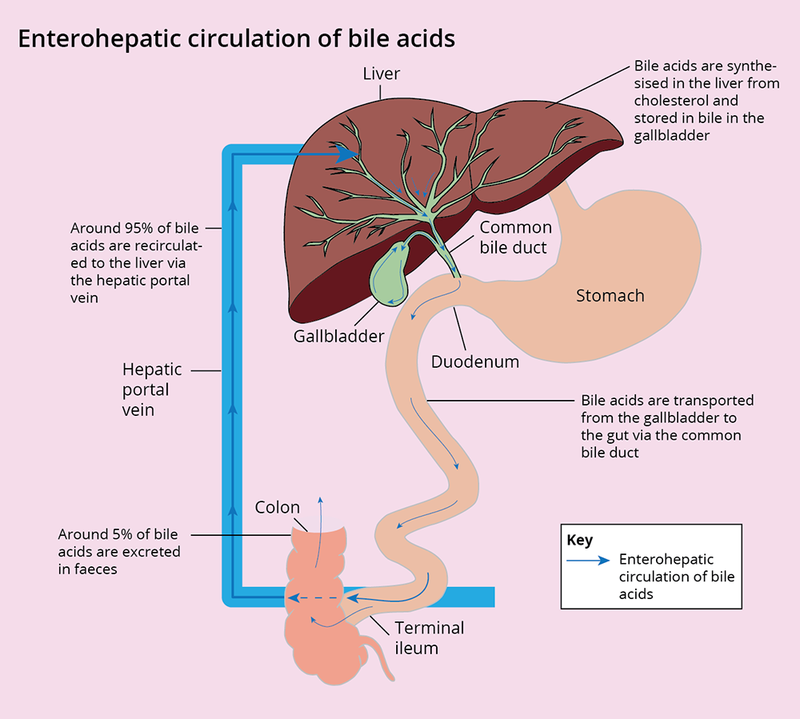 They start life as primary bile acids and in a further process (conjugation) they are converted into bile salts, which is why some doctors will call them bile salts and others will refer to them as bile acids. 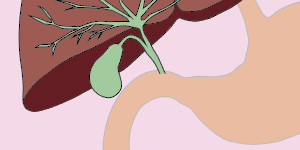 They are then transported from the liver into the gallbladder in bile. Bile acids are essential, as they help the body digest food and absorb the fat-soluble vitamins we need for our bodies. During a meal, the gallbladder contracts and deposits bile into the gut (if you have had your gallbladder removed, bile will be secreted directly to the gut). Once there, and with the help of bacteria in the gut, the bile acids are turned into secondary and tertiary bile acids, including UDCA. They are then recycled, and around 95% of them are transported back to the liver via the hepatic portal vein. The remaining bile acids/salts are excreted in the faeces (poo). This entire process is called the enterohepatic circulation. In ICP there is no evidence that individual bile acids need to be measured, so most laboratories will perform a total bile acid measurement, which includes both bile acids and salts. 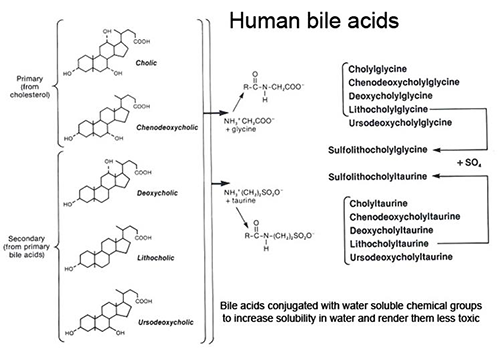 Click here for a pictorial representation of bile acid. What happens to bile acids in ICP? In ICP the transport of bile acids across the liver doesn’t happen as efficiently as it should. The bile acids accumulate in the liver and eventually leak back into the blood, causing raised levels in the blood. Doctors refer to this as being ‘cholestatic’. Because the bile acids are quite toxic it is important to try to reduce the levels. They are not thought to be harmful to you during an ICP pregnancy because they are only raised for a limited amount of time, but they may be the reason why some babies have been born prematurely or stillborn. 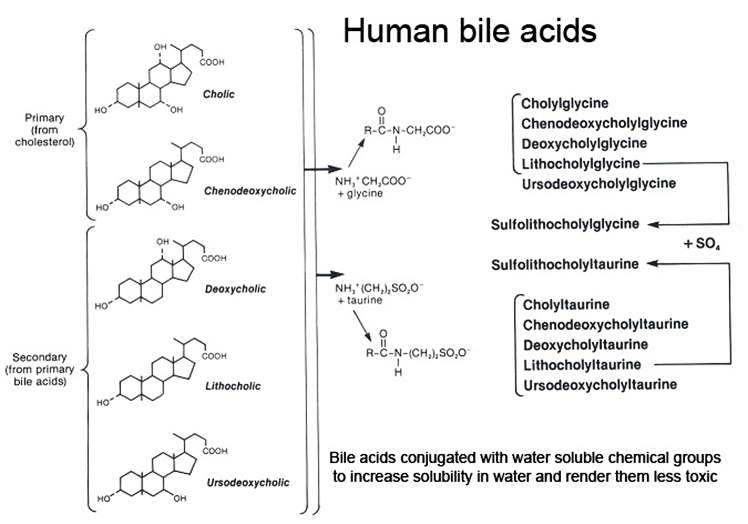 As previously discussed, exactly how bile acids are involved is still not fully understood. Some studies have investigated their effect on the placenta and other studies have looked at their possible effect on the baby’s heart. Further research is needed to identify whether either or both of these factors are implicated in the risk to the baby, and it is important that this research continues. For the moment, researchers advocate a cautious approach to managing the condition. Bile acids have their own circadian rhythm, which means that they naturally rise and fall (within normal reference ranges) over a 24-hour period. The time of day at which you have your blood taken to measure your bile acids can make a small difference to your result, and any increase (within normal reference ranges) doesn’t mean that your bile acids are going to become abnormal or are rising – it could simply be that you have had them tested at a time of day when they are generally a little higher. They also rise after eating, but there is no evidence to suggest that you need to fast for the test – in fact it’s possible that it’s better to know what they are after eating so that you can know how high they can become. Researchers don’t know for sure when the best time is to have bile acids measured if you are being tested for ICP or you have already been diagnosed with the condition, but we suggest that you leave around 90 minutes after eating before being tested as levels will have peaked by then. Given what we have written it may also make sense to be consistent about the time of day you have your test and what you have eaten beforehand. There has been no research about this either, but by doing this you will know that your results have not been affected by testing at different times or by eating different food. Gao H, Chen L-J, Luo Q-Q, Liu X-X, Huu Y, Yu L-L, Zou L. Effect of cholic acid on fetal cardiac myocytes in intrahepatic choliestasis [sic] of pregnancy J Huazhong Univ Sci Technol [Med Sci] 2014; 34(5): 736–9. DOI 10.1007/s11596-014-1344-7. Glantz A, Marschall HU, Mattsson LA. Intrahepatic cholestasis of pregnancy: Relationships between bile acid levels and fetal complication rates. Hepatology 2004; 40: 467–74. McIlvride S, Dixon PH, Williamson C. Bile acids and gestation. Molecular Aspects of Medicine 2017; 56: 90–100. Vasavan T, Ferraro E, Ibrahim E, Dixon P, Gorelik J, Williamson C. Heart and bile acids – Clinical consequences of altered bile acid metabolism. Biochim Biophys Acta 2018; 1864(4 Pt B): 1345–55. doi: 10.1016/j.bbadis.2017.12.039.